Eli Lilly has announced that its oral JAK inhibitor Olumiant (baricitinib) has received FDA approval for the treatment of moderately-to-severely active rheumatoid arthritis (RA) in adult patients who have had an inadequate response to one or more tumour necrosis factor (TNF) inhibitor therapies. However, the approval in the US only covered the lower dosage of 2mg after an FDA advisory panel voted in April to block the 4mg dose over safety concerns – a stark difference from the decision in over 40 countries to authorise the sale of both a high and low dosage. On top of this, packaging of each unit sold in the US will come with a black box warning alerting patients and professionals of the risks of its use, including thrombosis, malignancies, and serious infections such as tuberculosis and bacterial, invasive fungal, viral, and other opportunistic infections, all of which have been observed in patients using the drug. The press release accompanying the news of the approval lso noted that combination of Olumiant with other JAK inhibitors, biologic disease-modifying antirheumatic drugs (bDMARDs), or immunosuppressants is not recommended. The decision was made after the drug was found to produce significantly higher ACR20 response rates (49%) and component scores after 12 weeks of use, compared to placebo (27%). Symptom relief was seen as early as the first week of treatment with Lilly’s drug, and patient’s reported significant improvements in physical function based on the Health Assessment Questionnaire Disability Index (HAQ-DI). "Despite the advancements we've seen in the RA treatment landscape over the past several decades, many patients are still failing to achieve their disease management goals," commented Seth Ginsberg, co-founder and president of CreakyJoints and the Global Healthy Living Foundation. "As it's important for RA patients to have multiple treatment options available to best suit their disease characteristics and experiences, the approval of Olumiantis very encouraging for our community." 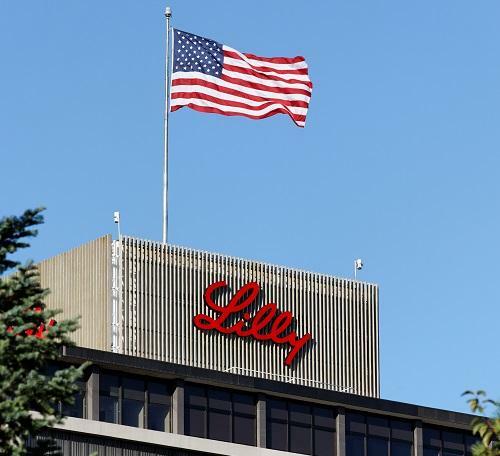 Lilly confirmed it plans to launch Olumiant by the end of 2018’s second quarter, at a price 60% lower than rival TNF inhibitor Humira, manufactured by AbbVie.